Built to specs for the virtuoso R&B bassist, Reggie Hamilton, with a vintage vibe plus updated electronics which allow it to be one of the most versatile basses in Fender’s line up. 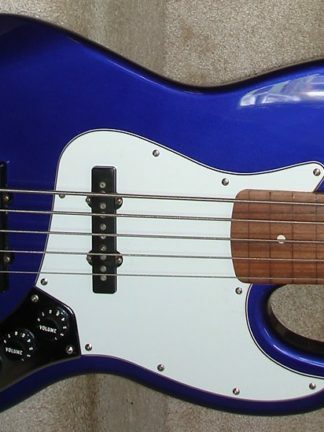 For electronics Fender chose an American Series Precision Bass neck pickup and a custom Noiseless Jazz Bass bridge pickup, controlled with an active/passive switch, pickup pan control, and three-band active EQ (Treble Boost/Cut, Bass Boost/Cut and Mid Boost/Cut). Other distinct features include side output jack, ’70s stamped open-gear tuners and a Hipshot Bass Xtender drop-D tuner on the E string. With so many songs going down to a low-D, the Hipshot makes it quick, easy, and exact, and switch back to an E with the flip of your thumb. The active/passive switch is a welcome addition that will let you play with the response and tone of a vintage bass, or the fast attack and punch of the active circuit. 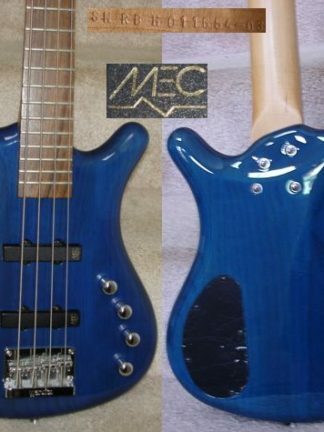 The satin finished neck feels great to the hands, and is a very comfortable C-shape with vintage frets and modern 9.5″ radius. Early 60 styling include vintage logo (with artist signature on back of headstock), 3-tone sunburst finish over alder body, 4-ply tortoise shell pickguard, white dot inlays, and 4-saddle American Vintage bridge and saddles. A new one will set you back $899 but this one is immaculate and just $599 including gigbag, hang tags, manual, etc.